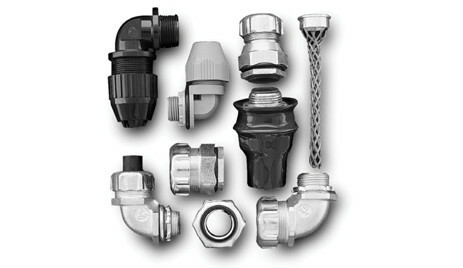 Thomas & Betts offers the largest and most technologically advanced line of liquidtight fittings in the industry, including connectors for highly specialized applications such as power and petrochemical plants, paper mills, robot manufacturers, packaging equipment, machine tool building, and other OEM and MRO applications. Thomas & Betts integrates the latest manufacturing technologies with the highest quality materials available. Download the T&B Liquidtight Fittings brochure below or call 714.835.6211 for more information.